The CARE for AIDS center in Kamirithu is one of the longest operating centers in Nairobi. 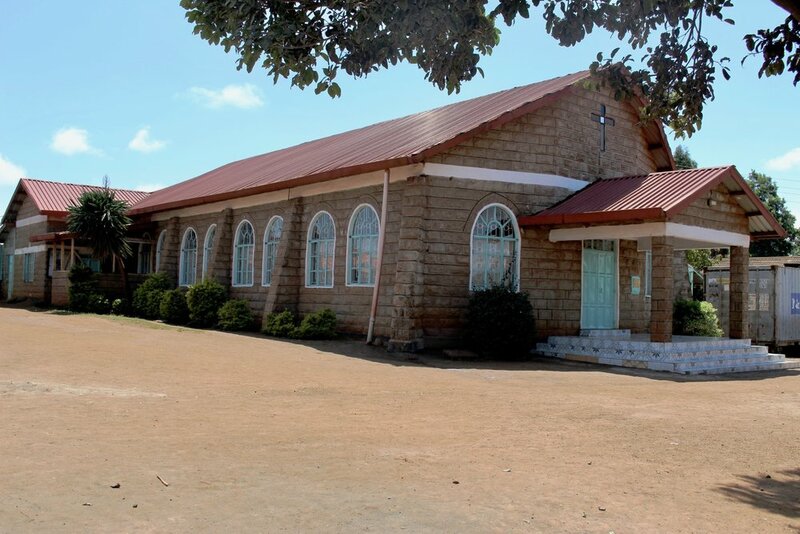 We opened operations at our partner church, Kenya Assemblies of God in Kamirithu, in January of 2010. We have seen significant change in the community over the years and we are excited to continue to serve the most vulnerable families in the area. Paul, the center's spiritual counselor, also serves as our partner church's children's minister. He is passionate about the work of CARE for AIDS because HIV/AIDS has affected some of his close family members. "My favorite part of this job is reaching out to the young people and especially helping them with the dangers that surround them." Alice is 48 years old and married. She has 3 children, ages 25, 23 and 16. In 2013 her husband fell sick and went to the hospital. The doctor recommended testing which revealed they were both found positive. Their first thought was where could this come from. Her husband’s attitude was don’t worry about it, don’t mind where it came from, let’s just get on with it. Alice’s heart was broken because she thought he had been unfaithful. She has been praying for God to help her and to move on. “If the water is poured down so you can’t take it back into the container, it has poured out.” (In America, we’d day, “Don’t cry over spilt milk.” We have to move on. When they found out about their diagnosis in 2013, they were advised to go to the hospital to learn adherence to the protocols. They accepted their status and began taking the drugs. Her husband got well and she never got sick. They have not disclosed their status to the kids. She believed if they did, the kids would be heartbroken. She worries that if people found out about her status, her kids will be treated poorly in school. Only 1 neighbor knows their status because she met her neighbor while she was at the hospital getting her drugs. She tells her kids about the dangers of HIV and to be watchful. This year, she met Michael, a former client and current health worker, told her about the CFA program. She is learning skills in business management. She has a green grocery: cabbages, onions, tomatoes, and potatoes. Alice has specifically learned “you don’t have to have big capital to get started in a business.” She has been sharing what she has learned with her husband so he can better understand the disease. She prays that she will be alive to see her grand kids. She prays for motivation to continue to help her kids and grandkids. She also prays her business will be a success. Alice describes Eva and Paul, the CFA counselors "They are a great team, a great support. There are not enough good words to express this. They provide strength and guidance." She knows that even if she is only in the program 9 months, the relationship will continue afterwards.